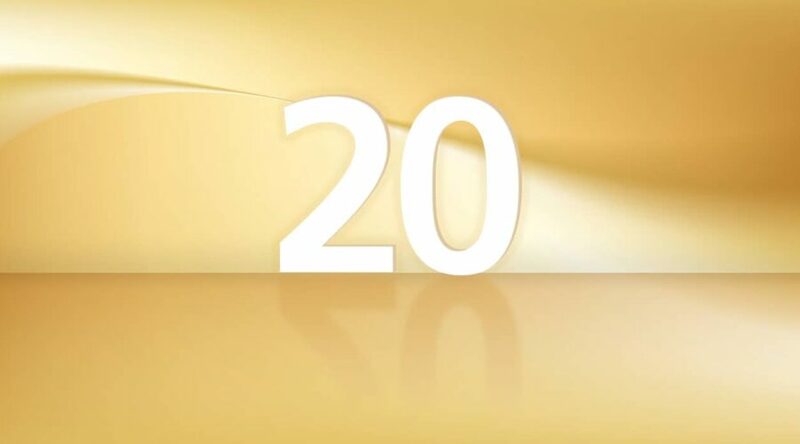 This week, Diamond Consultants celebrates its 20th anniversary as a recruiting firm in the wealth management space. And frankly, it’s hard to believe that so much time has passed. Personally, my sons went from being young boys, who I cheered for from the sidelines of baseball and football fields, to college graduates, and now professionals working in the industry. 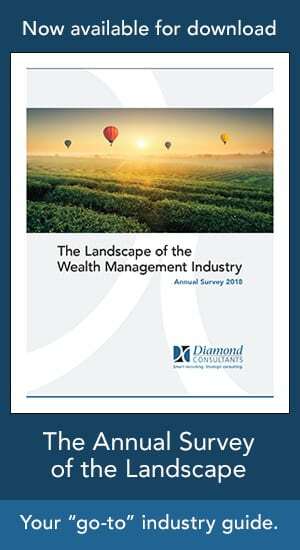 In that same timeframe, Diamond Consultants went from being a solo practice in my home to a well-established firm with an incredible team, multiple offices and an active, recognized voice amongst wealth management professionals. 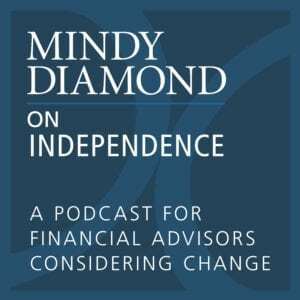 I’ve written much in the past two decades about change and its impact on advisors and their businesses. And certainly the last half of this decade has kept my team and me quite busy as there’s been plenty of change to discuss! With all that has happened, there are 7 areas that we feel have been most transformative—leaving a mark that will carry through the next decade and beyond. In an industry that’s anything but static, it’s no surprise that mergers and acquisitions (M&A) are a routine phenomenon. Historically, M&A is driven by typical market forces—basically, one firm’s desire to grow and another’s to capitalize. But, the industry was thrown into crisis mode – literally – in 2008, and M&A became a lifeline for firms on the edge of implosion. The most notable examples: J.P. Morgan & Co. acquired Bear Stearns; Morgan Stanley formed a joint venture with Smith Barney; Bank of America Corp. acquired Merrill Lynch; and Lehman Brothers ceased to exist altogether. For advisors, the financial crisis itself sowed the seeds of discontent and started an unprecedented wave of movement—in fact, more than 24,000 advisors changed jerseys in 2009 alone. This became the first time that blind loyalty was no longer a given amongst advisors—as they began to question the stability of their firms and the decisions of their leaders. While we’ve long recovered from the financial crisis, this skepticism about big firms remains. When I started calling on advisors some 20 years ago, they would say, “Call me when deals hit 100%.” It was the classic blow-off line! Then in 2004, deals started to rise, quickly surpassing 100% and onward to 175% by 2007, all attached to 7-year forgivable loans, comprised of both cash and stock. No one questioned the equity component, accepting it as the norm—that is, until the financial crisis hit and stock in too many financial firms was deemed worthless. As competition for top talent became fierce, deals began to creep higher and higher. By early 2010, packages reached the 280% to 300% range, but at this point they were all cash, because no advisor would consider a move with stock as part of the deal. But what went up, did eventually come down. And in this case, the downward motion at the end of 2017 was blamed on the DoL Rule, which provided firms with a way to justify lower deals as the effect of a regulatory mandate. Although the Rule itself fizzled out earlier this year, it did change the course of advisor movement—and served as the impetus to slow recruiting to a virtual trickle at the wirehouses. Today, at these firms, the standard recruiting deal is around 250% all in. Yet with little recruiting being done, and legitimate competition from the independent space, they recognize the need to pay top dollar, with some going back to the 300% range for the best advisors. It’s also worth noting that today’s best deals are being offered by non-wirehouse firms, specifically J.P. Morgan Securities, First Republic Wealth Management, RBC and Ameriprise. While the financial crisis was the death knell for the willingness of advisors to accept stock as a component in a recruiting deal from a wirehouse, the continued growth and resulting validity of the independent space reinvigorated it. Equity in successful RIA firms has re-emerged as not only a relevant form of currency, but, perhaps, the most coveted. Beyond providing a potentially meaningful financial stake, equity that comes with partnership includes a seat at the table, giving advisors a voice to help shape the direction and success of the firm. To advisors, equity went from being an accepted form of currency to toxic kryptonite. Today, it’s become one of the most powerful attractors and a real opportunity for value creation. The Protocol for Broker Recruiting – initiated by Smith Barney, Merrill Lynch and UBS – was a welcome addition to the scene in 2004, recognizing both client and advisor choice. It eliminated the expensive and time-consuming legal battles that the firms engaged in to enforce their non-solicit agreements when an advisor decided to change jerseys or go independent. While non-Protocol status has served as a deterrent for some risk-averse folks, many others find these firms’ decision to withdraw to be an audacious one. In many cases, it’s been a real clarion call, fueling an even greater desire to break free from the ties that bind. For those who choose to move, every court in every state affirms the advisor’s right to announce a move to his clients, as well as the clients’ rights to choose to follow their advisor—no matter how limiting a non-solicit clause may be. While the decision made by these firms (and presumptively others in the near future) to pull out of the Protocol certainly changed the process of a move, advisors are indeed still changing firms and models with great success. With an eye toward improving profit margins and responding to a more onerous regulatory environment, big firms are increasingly managing to the lowest common denominator, holding each advisor – regardless of size and quality of business – to standards that in many cases no longer serve their clients best. In the not too distant past, the biggest producers were given leeway in how they managed their businesses. As such, firms often looked the other way on minor transgressions, and sometimes even more egregious ones. Fast forward to today, and the biggest players are often those who have the biggest targets on their backs. Just ask these recently terminated advisors: $6mm producer Phil Fiore formerly of UBS; or Bruce Lee, a former Merrill advisor generating in the area of $8mm; or Scott Neu, an $11mm producer, formerly of Goldman Sachs. This heavy-handed culture that large firms operate under has undoubtedly served as a catalyst for change and movement, because it makes advisors feel vulnerable, and less in control of the ability to best serve their clients. That’s why advisors of all sizes are increasingly attracted to what is a refreshing difference in culture at regional firms and the independent space. At the end of the day, the majority of smart and successful advisors operate with a fiduciary mindset and additional bureaucracy simply acts as a hindrance to their ability to do so. There was a time – less than a decade ago – where only the uber-entrepreneurial went independent. Today, that couldn’t be further from the truth. As evidence, in our own practice we saw the ratio of those moving from one big firm to another vs. those going independent completely reverse. In 2005, 92% of the advisors whose moves we facilitated stayed within the employee space, while only 8% opted for independence. By comparison, in looking at just the first half of 2018, 82% of the advisors we worked with went independent with only 18% making a move within the traditional brokerage world. This statistical shift is reflective of the industry at large—and there are quite a few reasons behind it. First and foremost, advisors are becoming more and more attracted to the freedom to grow their businesses and customize the client service experience. And with the buzz around billion-dollar breakaway teams and their successes impossible to ignore, advisors now recognize that the independent space is no longer uncharted waters. Concerns over support have been addressed with firms like Focus Financial Partners, Dynasty Financial Partners, and HighTower Advisors, serving as best-in-class players to turnkey the startup, manage the middle- and back-office responsibilities and provide financial and intellectual capital—so even the most sophisticated of advisory businesses can flourish. Perhaps the biggest reason behind the growth of the space is that advisors began thinking longer-term, eschewing the short-term upside in a recruiting deal for greater value creation down the road. In moving from one big firm to another, recruiting deals are structured as a multiple of production – with often unrealistic and unachievable backend bogies –and taxed as ordinary income. Advisors are giving up the short-term upside of a recruiting deal in return for the ability to grow a business with more freedom and control, to create operating leverage, and to add inorganic growth to the mix. And ultimately the real payoff comes with the potential to sell that business for a multiple of EBITDA with preferential tax treatment—rewarding them for both profitability and production. Having cast aside the once widespread belief of corporate rhetoric – that the firms’ owned the advisors’ clients – many advisors have instead shifted their focus to building long-term enterprise value. Advisors are now placing their trust in their own growth trajectory and the strength of their client relationships. This mind shift is likely to be the most remarkable and transformative force we’ve seen—and to be one of the strongest drivers of change from here on out. That said, still plenty of advisors will choose instead to retire from their traditional brokerage firms. The good news for them is that in the last decade, most of these firms have rolled out exciting sunset programs, allowing those who participate to monetize their life’s work and pass the business on to the next gen.
As the wealth management space has evolved in the past 2 decades, it became imperative for our own firm to change the conversations we were having with advisors. Like many recruiters in days gone by, our business had been more transactional in nature, responding to advisors’ desires to change jerseys as a way to obtain the biggest deals. Today, we serve more as educators and guides to the ever-expanding landscape, encouraging advisors to ask themselves the tough questions in order to truly understand what they want and need. Our job is to then identify appropriate opportunities and pave the way for the next chapter of their careers. The evolving landscape created an increasing need for knowledge-sharing. As a result, we now produce an annual report of the wealth management landscape, an industry blog with weekly articles and, more recently, a podcast focusing on the independent space.